We offer a broad range of gardening tools and landscaping equipment, ideal for every foreseeable situation. All of our equipment is ready for hire today. We stock gardening and maintenance tools of all types such as demo saws, mini loaders, post hole diggers, mini excavators, mini bobcats, rippers & trenchers, small automatic tip trucks and other lawn care equipment. If you’re trimming hedges, modifying turf, cleaning concrete, doing a tip run or recycling dirt, we have the right equipment for you. 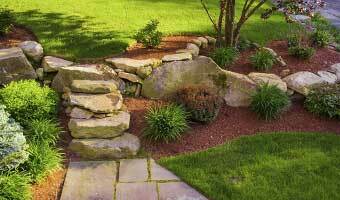 Doing the landscaping yourself for your yard renovation has never been easier. Need to move large amounts of plants or dirt? We have loaders and tip trucks of various sizes and carrying capacities. If you need trenching and excavation equipment, Pacific Hire has it too. We offer mini excavators, mini bobcats and mini skid steer loaders and post hole diggers or trenching attachments for them. Landscaping and garden work is an inexpensive way to add value to your property and is so easily accessible that just about anyone can take a gander at it. However, outside of pulling a few weeds, for any serious landscaping work, you will require some serious equipment. Luckily, Pacific Hire is able to readily provide you with every possible tool needed to transform your garden, job site or even a football field. Our equipment is recognised across Victoria as one of the best. We only offer the highest quality equipment at the most competitive prices, and the only the best service to compliment it. If you would like to substantially reduce the hassle, cost, resource and time requirements for your next landscaping project, contact us, you will not regret it. We have all the landscaping tools and equipment you will ever need. Whether you are new to gardening and landscaping or have years of experience, Pacific Hire should be your equipment supplier from start to stop.